I’ve written about my strong dislike of the retail aspect of the holiday season before (see here, here, and here). 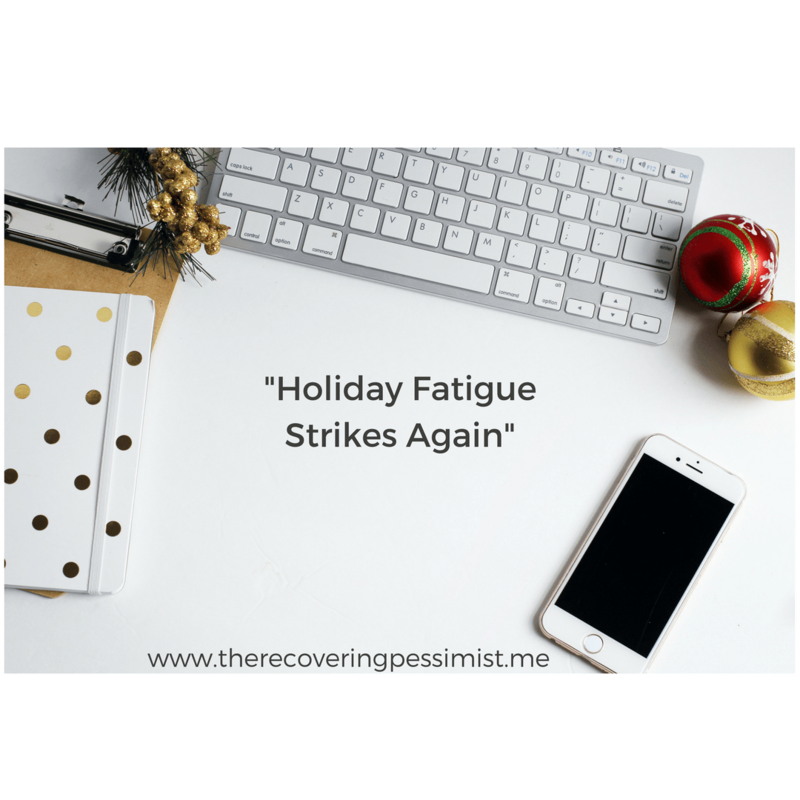 This year is much of the same with a not-so-surprising twist: I already have holiday fatigue and November isn’t even here yet. In many stores, Halloween items were at least 40% off by November 15th. Halloween displays made way for 6 foot tall Christmas trees and large plastic candy canes complete with lights. My favorite stores started sending me emails featuring gift sets and other seasonal items to consider as gifts mid-October. I’ve seen Elf on the Shelf displays. People are counting down how many days are left until Christmas. In all honesty, I can deal with everything mentioned above MINUS the countdown. The counting down is high-key annoying as hell. Can we put the turkey in the oven first? I’m not big on Christmas, however, I LOVES me some Elf on the Shelf. While I love Elf on the Shelf in general, it gives me the giggles to see him/her used in a way that’s inappropriate. When I saw this video on Pinterest, the title made me cackle. When I watched the video, I laughed to the point of tears. While watching the first Thursday Night Football game of the season, I saw a K-Mart commercial. Usually, this is no big deal. K-Mart commercials, specifically Ship Your Pants, are hilarious. However, this one threw me for such a loop I just had to share it with you. My issue with this commercial is that it’s another example of retailers accelerating the holidays. Grocery stores are selling Halloween candy next to back to school supplies. Kids haven’t finished the first week of school. People become so consumed buying gifts and supplies for holidays that they can’t really enjoy them. It’s the second week of September and Halloween costumes/decorations are popping up on shelves. Pretty soon, stores will have sales on baking supplies and Christmas lights. My Christmas spirit is non-existent. Retail stores don’t let Halloween be great. Costumes are next to nutcrackers as a lead-than-subtle reminder that you might as well kill 2 birds with one stone. rolls eyes It’s too much. Speaking of force feeding the holidays, let’s discuss Christmas music. Where I live, radio stations start playing Christmas music either on or after Thanksgiving. On Nov 1, my coworker turned on her radio. What was playing? “White Christmas”. I was livid. Three weeks early. Here’s my issue. There are new Christmas albums every year. Yes, I understand that the oldies are still goodies, but who the hell can stomach hearing the SAME songs being played EVERY SINGLE DAY?!?!?! Earbuds are the only thing keeping me from running down store aisles yelling “Santa is a fraud”.